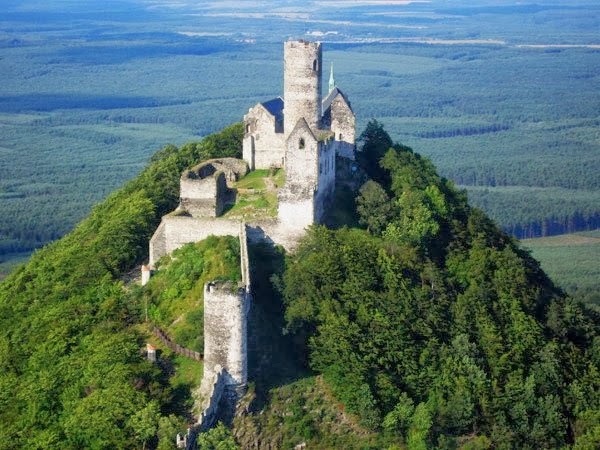 Bezděz is often called the “king of all castles” for its original early Gothic appearance, which has never been tampered with, unlike most other castles. For this reason it certainly belongs among the Czech Republic’s more intriguing places of interest. Bezděz is steeped in myths and legends; one of these claims that the local monks hid some treasure here. What is certain is that Kunhuta was imprisoned here with her son, the future king of Bohemia, Wenceslas II. So come along to Bezděz and learn about its history. After viewing the 13th-century chapel you will move on to the Royal and Burgrave’s Palace. From Bezděz’s tower you can see a quarter of the country when the weather is clear. The unforgettable atmosphere of the castle is enhanced by the frequent costumed parades, medieval celebrations and theatre performances that take place here. 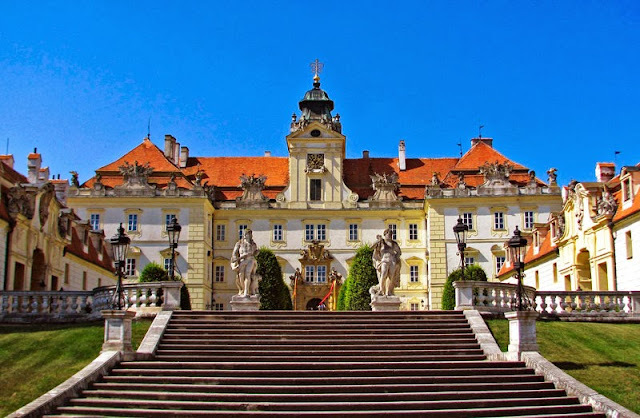 Špilberk Castle is an old castle on the hilltop in Brno, Southern Moravia. It began to be built as early as the first half of the 13th century by the Přemyslid kings and complete by King Ottokar II of Bohemia. From a major royal castle established around the mid-13th century, and the seat of the Moravian margraves in the mid-14th century, it was gradually turned into a huge baroque fortress considered the heaviest prison in the Austro-Hungarian empire, and then into barracks. This prison had always been part of the Špilberk fortress. In 1620, after losing The Battle of White Mountain on November 8, the leading Moravian members of the anti-Habsburg insurrection were imprisoned in Špilberk for several years. The town of Brno bought the castle in 1560 and made it into a municipal fortress. The bastion fortifications of Špilberk helped Brno to defend itself against Swedish raids during the Thirty Years' War, and then successful defence led to further fortification and the strengthening of the military function of the fortress. At the same time Špilberk was used as a prison. Protestants were the first prisoners forced to serve time here, followed later by participants in the revolutions of 1848-49, although hardened criminals, thieves and petty criminals were also kept here. Franz Freiherr von der Trenck, Austrian soldier and one of the most controversial persons of the period was also jailed and died here on October 4, 1749. Later, apart from several significant French revolutionaries captured during the coalition wars with France, Jean-Baptiste Drouet, famous as the former postmaster of Saint-Menehould who had arrested King Louis XVI, was the most known of them all. A group of fifteen Hungarian Jacobins led by the writer Ferenc Kazinczy was also especially noteworthy. More than a quarter of a century later, from 1822 on, specially constructed cells for "state prisoners" in the northern wing of the former fortress were filled with Italian patriots known as Carbonari, who had fought for the unification, freedom and independence of their country. The poet Silvio Pellico, who served a full eight years here, made the Špilberk prison famous all over Europe with his book Le mie prigioni - My prisons. The last large "national" group of political prisoners at Špilberk consisted of nearly 200 Polish revolutionaries, mostly participants in the Kraków Uprising of 1846. After that, the Austrian Emperor Franz Joseph dissolved the Špilberk prison in 1855, and after departure of the last prisoners three years later, its premises were converted into barracks which remained as such for the next hundred years. Špilberk entered public consciousness as a centre of tribulation and oppression on two more occasions; firstly, during the First World War when, together with military prisoners, civilian objectors to the Austro-Hungarian regime were imprisoned here, and secondly in the first year of the Nazi occupation of Czechoslovakia. Several thousand Czech patriots suffered in Špilberk at that time, some of whom were put to death. For the majority of them however, Špilberk was only a station on their way to other German prisons and concentration camps. In 1939-41, the German army and Gestapo carried out an extensive reconstruction at Špilberk in order to turn it into model barracks in the spirit of the so beloved romantic historicism of the German Third Reich ideology. The Czechoslovak army left Špilberk in 1959, putting to a definite end its military era. The following year, Špilberk became the seat of the Brno City Museum.